Every year, Varsity Vocals, the organization behind the massively popular event ICCA (International Championship of Collegiate A Cappella) releases a compilation album that features some of the very best in studio recorded a cappella, simply known as BOCA (Best of Collegiate A Cappella). This past weekend, the 2017 installment of this compilation album became available via iTunes. If you haven't taken a listen to past year's albums, you are doing yourself an extreme disservice. BOCA is a great representation of how diverse and creative college groups are, and that no two groups will look at an arrangement in the same way. And whether you're a purveyor of the latest vocal effects that can be added to the human voice, or are simply an a cappella purists, the compilation always has plenty to offer. 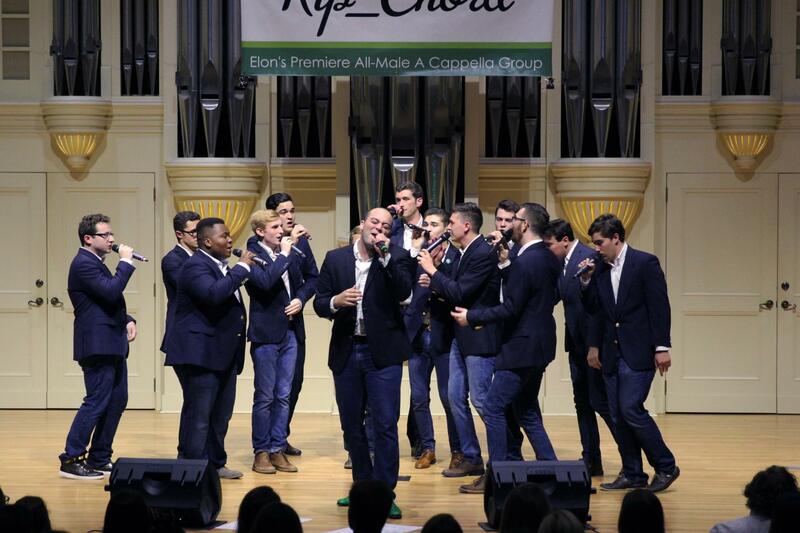 To honor this monumental occasion (well, it's pretty big to us), we're featuring one of our favorite tracks off of the album, "Kiss Me Quick" by Rip_Chord from Elon University. Nathan Sykes is an up and coming artist on the music scene with plenty of style, youth, and charisma. The same can be said about Rip_Chord's cover that features an abundance of life to it. The performance is further complimented by some serious vocal drumming, active backing singing, and a show-stopping soloist. This track alone is worth checking out the album.